You’ll be devouring these little bites of Spicy Black Bean Brownies goodness in no time, so here’s what you’ll need: Salt, Almond Butter, 15 oz can of Black Beans, Maple Syrup, Honey, Baking Soda, Cocoa Powder, Cayenne Pepper, Vanilla Bean Paste or Extract, Cinnamon, and your favorite chocolate chips. I really love the dairy free mini chocolate chips from Enjoy Life, because they taste just like normal. Begin with a little prep work by preheating the oven to 375 degrees, and then grab an 8 1/2” loaf pan. 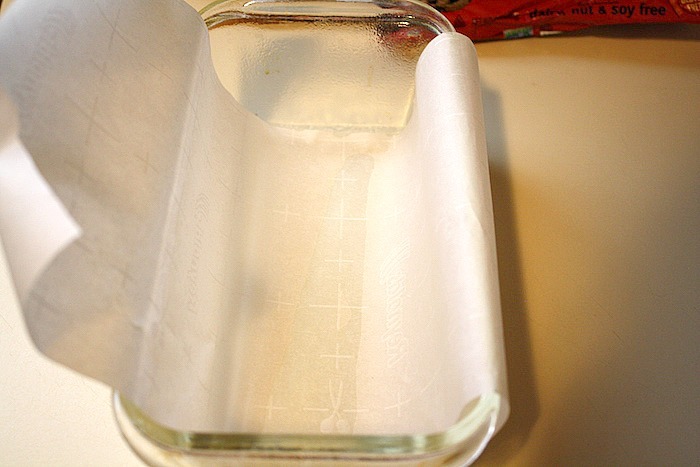 Spray the loaf pan with cooking spray, and then line the pan with a sheet of parchment paper. Now drain the black beans and rinse them really well, so you remove any excess liquid. Grab your blender, and note that I love my Vitamix for this type of work because it’s a beast! 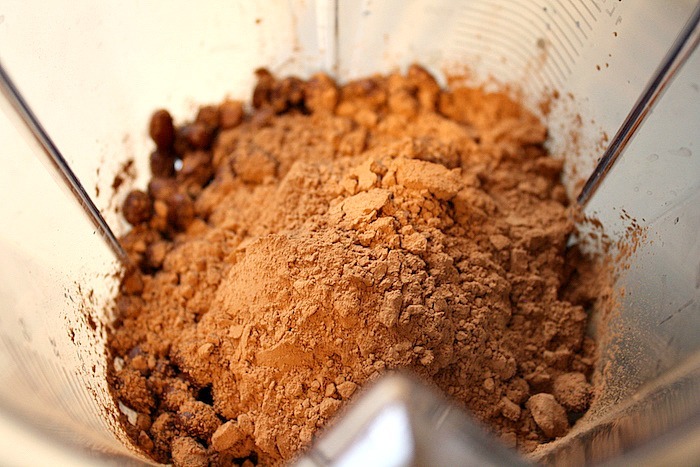 Then add the beans along with 6 tablespoons of cocoa powder. 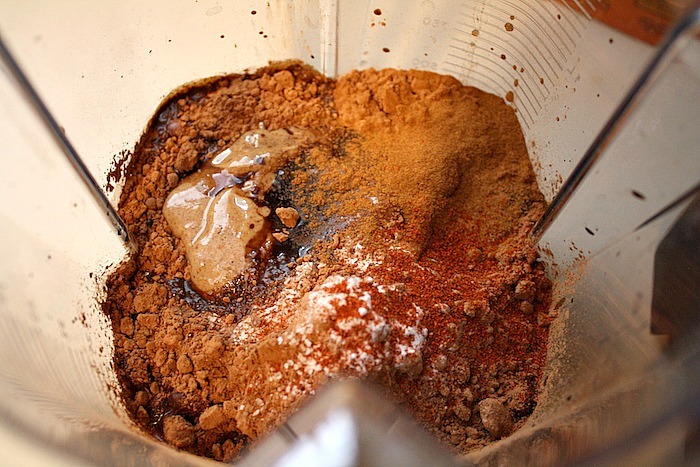 The liquids get added next, so in go 1/2 cup of maple syrup, 1/4 cup of honey, and 1/4 cup of almond butter. 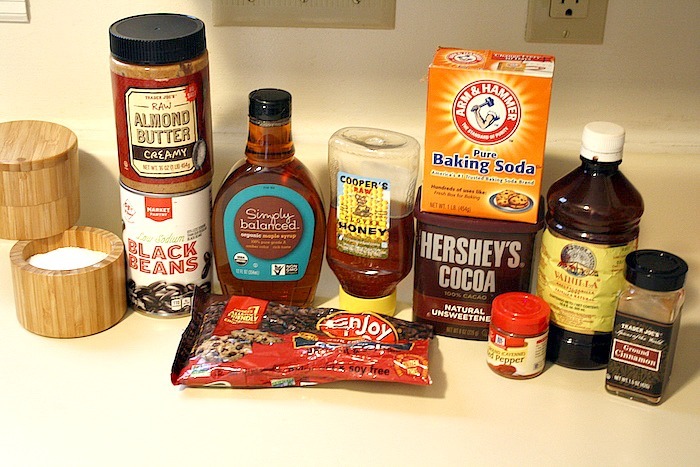 Finally the spices for the Spicy Black Bean Brownies go in including 2 teaspoons of vanilla, 1/4 teaspoon of salt, 1/4 teaspoon of baking soda, 1 teaspoon of cinnamon, and at least 1/2 teaspoon of cayenne. Now pop the lid on, and blend the mixture until it’s smooth. 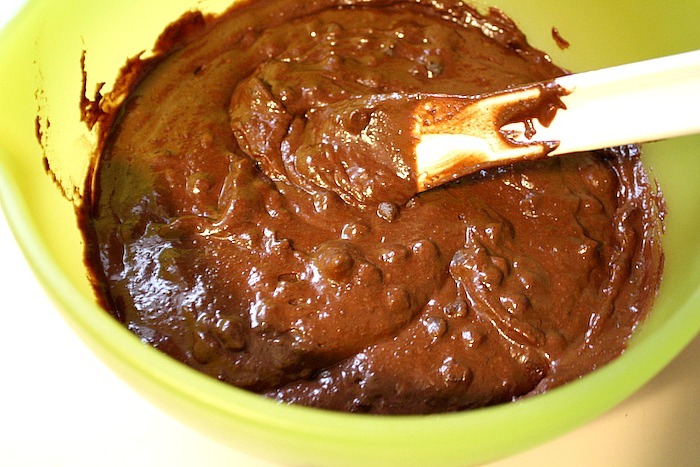 For more chocolate-y goodness, transfer the batter to a bowl and then add 3 ounces (roughly) to the batter. Fold in the chocolate, and you’re all set! 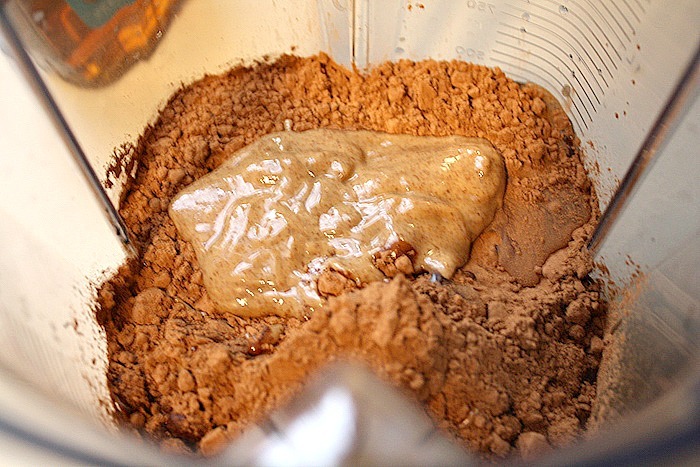 Now carefully pour the Spicy Black Bean Brownies batter into the loaf pan, and the shake it on the counter from side to side so that the brownies are level on top. Now bake for 50-55 minutes or until a toothpick comes out fairly clean. You’ll notice when the brownies are done that the toothpick isn’t completely clean, because of the chocolate chips, but you want to be sure it’s cooked through and smells fab. Then let it sit in the pan for at least an hour on a cooling rack, so the Spicy Black Bean Brownies hold together better. Cut up the brownies into 12-15 pieces, and I prefer at least 15, because these guys are very rich. And refrigerate the brownies you have leftover, so they should keep for about 5 days and happy indulging! If you’re looking for another gluten & dairy free, chocolate recipe, then check out this Healthy Double Chocolate Mug Cake! 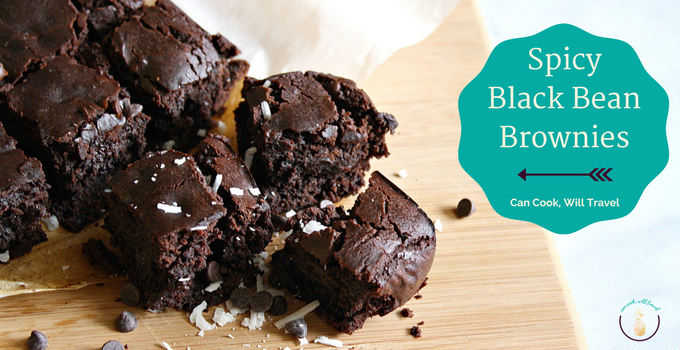 You'll love this flourless brownie that is crazy indulgent and easy to whip up! Chocoholics in your life will be thank you for making these! Prep Work: Preheat your oven to 375 degrees, and then grab an 8 1/2” loaf pan. Spray the loaf pan well, then cut a piece of parchment to run the width of the loaf pan with about 5 inches of overhang on each side. 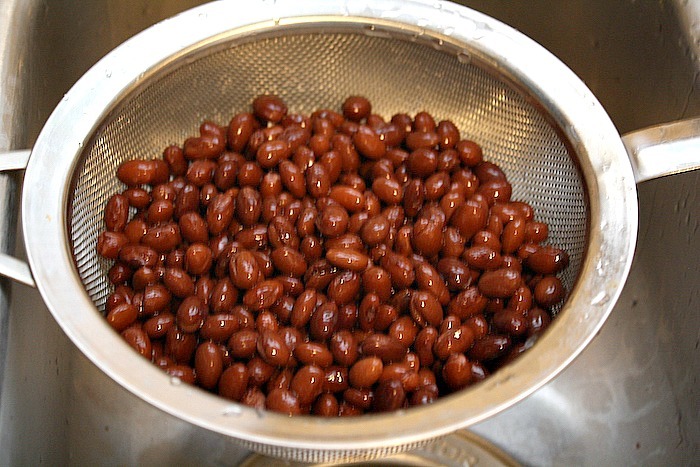 Finally make sure your beans are drained and rinsed, and you’re ready to make it! Make Batter: Add all ingredients except the chocolate chips to a high speed blender, and I like to add them in the order listed above. 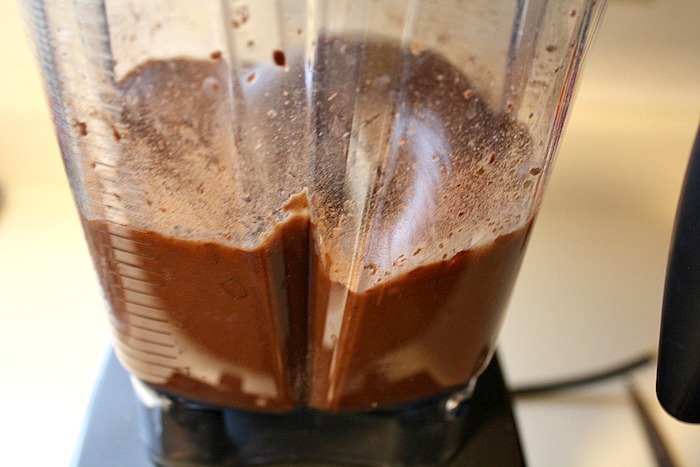 Then blend until smooth. 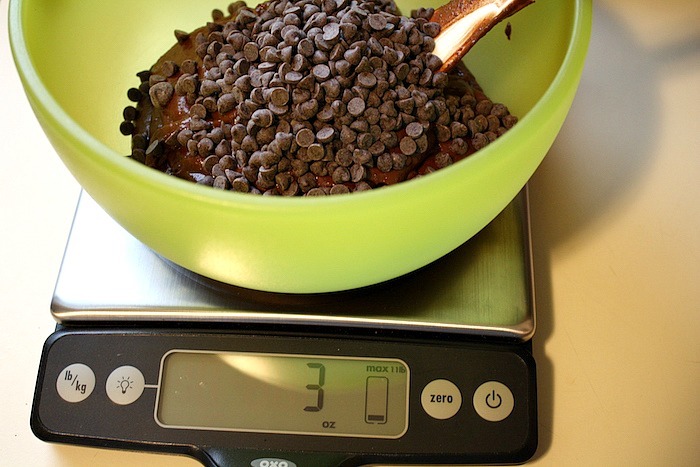 Transfer the batter to a bowl and fold in the chocolate chips, and then pour the batter in the lined loaf pan. Give the pan a shake side to side to help it level itself. Bake: Bake for 50-60 minutes depending on your oven until a toothpick comes out mostly clean. Note that the chocolate chips will be melty, so you won’t have a totally clean toothpick. My oven is pretty decent, but it takes about 52 minutes. 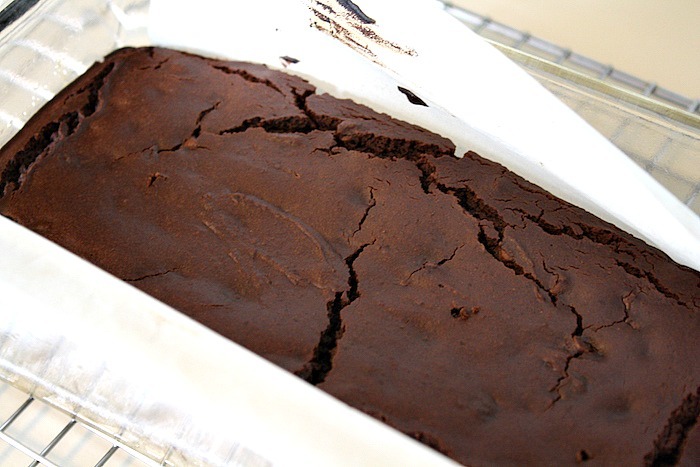 Cool: Let the brownies cool in the loaf pan for at least an hour so they hold together well. Then you can cut right away or if you have time, refrigerate and then cut so the pieces stay in tact. The brownies keep about 5 days in the refrigerator, and I like to heat them up for about 10 seconds in the microwave and they’re rich and chocolate-y perfection. Enjoy! 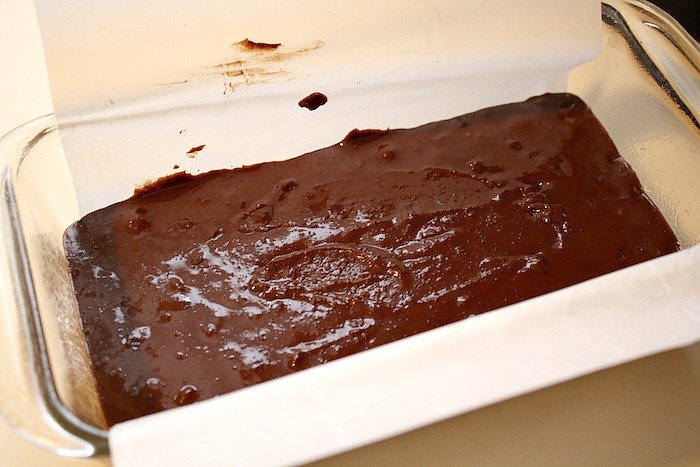 Quick Tip: To ensure the brownies stay together and cut easily, let them cool in the pan for at least an hour. And if you can refrigerate them, then I find they cut well. My favorite method is to cut them with a pastry scraper if you have one!